If it was somewhat easy even for my untrained eyes to recognize the style on the dust jacket to Three More Novels i can’t say the same about this one. I found it at a book store in the US via amazon at a very resonable price – roughly $40 dollar. As with Three More Novels this one is also in good condition. It’s an old library book judging from some stamps on the first few pages. It appears to have wandered around at least two different libraries in Michigan before it for some reason got a “discard” stamp. The dust jacket is protected by mylar, i have no idea if this has any effect on the value. It looks as if it’s removable without causing any damage to the book so it will stay on for now at least. 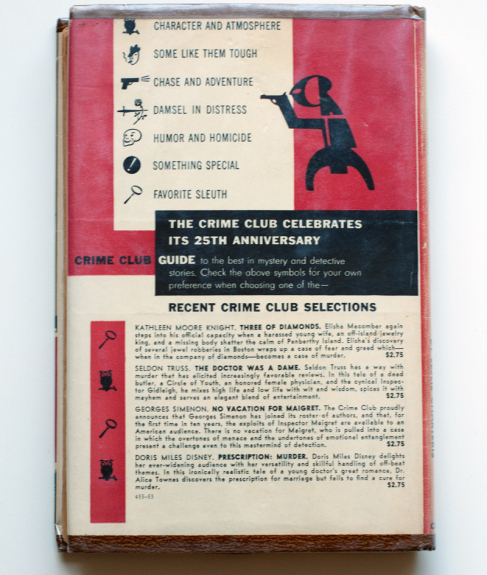 Futhermore this is one, of what i think are two books from some kind of book club “Doubleday Crime Book Club” where Warhol designed the dust jackets. 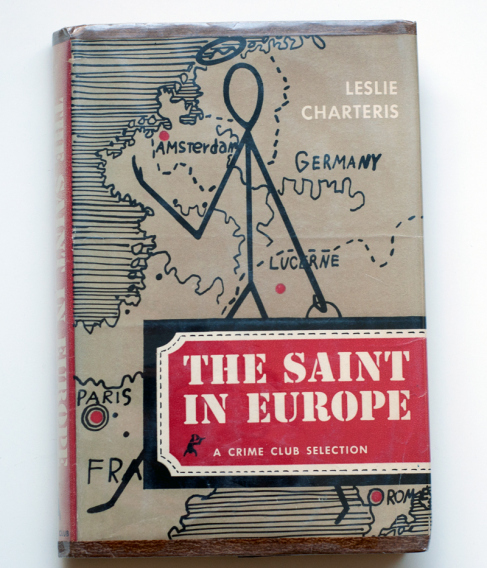 The other one, which also appears to be his first ever dust jacket he designed is Pistols for two published in 1951. This one seems to have every possibility to be the dust jacket equivalent to the Ratfab cover. 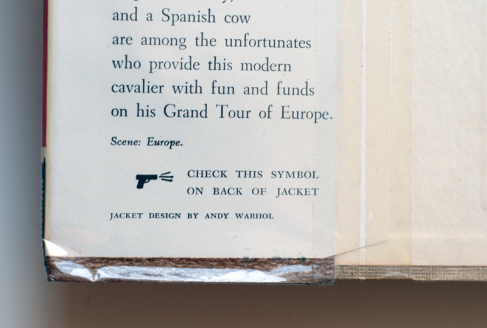 But we’ll see, naturally i don’t know to much about the Warhol dust jacket market yet. I haven’t been able to find any information regarding if Warhol had something to do with the design on the back cover, but i think it’s a standard design for the books in this series. This entry was posted in Uncategorized and tagged Andy Warhol, bokomslag, book cover, DJ, dust jacket, warhol, warhol dust jacket, warhol dust jackets by niklaslindberg. Bookmark the permalink.